Construction at 90 Sullivan Place actually started a few years ago. The structure was about 75% complete when a stop worker order halted things for about three years. I saw construction crews resuming work last month. Right next to the Ebbets Field apartment complex. I took a look at the signs posted on the construction site last night. The signs claimed that this will be a mixed-use building with commercial spaces on the first floor. It will be interesting to see what tenants this building gets once (and whenever!) it's finished. Lights are on at ground level and on the roof at night. Yes, I suspect that we could see listings for the units soon. It has been a while since that immediate area has had a condo building come to market. I think they will go for about about $650 a sq ft.
...a two BR, 1000 sq ft apt would fetch $650k. @whynot_31, I have somewhere buried on my iPod what they were charging before the construction stopped. If I find it, I'll post it. Of course it'll be interesting to see how much the asking price will have changed. hey, @whynot_31, I finally found the flyer with the previous prices for the units. These are a few years old. I'm posting just for kicks. It is unfortunate that such advertising is only valid in the near term. In light of price inflation, I now wish to estimate $750k for said example. I think the balcony railings have been on for a while though. I'm much more interested to see which commercial tenant will occupy the street level. Dodgers gift shop opening in 2027 when they plan to be done with construction. @dmiami2 - Ha - at this rate, that seems to be how long it will take to complete the project...although I hope it will open before the Second Avenue subway. Is there retail on street level? I have only seen single garages at the street level on Sullivan for the length of the entire building. @lilern - The sign on the construction site states that this project is residential and commercial. If you can peer behind the fence, you can see what appears to be storefronts on the ground level. Ahhh @mugofmead111 - maybe the coverings I saw 2 years ago I mistook for garages. This was the first time I went by in 2 years - I was held-up at gunpoint in 2012 and the cops said I was probably followed from that point by the perp from Ebbetts Field so I have avoided that block like the plague since! Back in the 90s I remember there was briefly a bodega in the building on the lot where this new building now is. The previous structure was demolished to make way for this condo building. For that matter there was briefly a bodega on the NE corner of Franklin Avenue and Sullivan Place. In the years when this construction site was fallow due to a stop-work order, the tarps were up and there were multiple mean guard dogs on the site that would growl and bark at anyone who passed by. I can't see how this building would fit in any garages...unless they're required to do so due to building code. This building will have an underground garage for 26 cars. 10 additional spots will be located around the building. There will be 28 apartments. I want to see where they're going to fit in these 10 spots around the building. Maybe in the back, facing the storage facility? @lilern - The link provided by whynot does confirm the building will have space for a store. At 505 Sterling, they saved space by using car stackers. will these still be units for sale? It may be too early to answer that. At anytime, the LLC that owns the building could be sold to a investment realty company, who then decides their best move is to rent the units out. Or, the LLC could have a realty company sell the individual units. I think it safe to assume that the LLC's decision will be influenced by how quickly these people want to be paid, and the carrying costs. I would not rule out the LLC and these people being effectively one and the same. MRC provided $5.25 million in note purchase financing for the acquisition of a non-performing first mortgage collateralized by 90-94 Sullivan Place, a mixed-use property located in the Crown Heights neighborhood of Brooklyn. The loan will fund the borrower's discounted purchase of the defaulted construction note. 90-94 Sullivan Place is a six-story, 48,642 square-feet in total, featuring 28 residential units, four retail units, one community facility and a total of 36 parking spaces. The project is approximately 75% complete." The loan will fund the borrower's discounted purchase of the defaulted construction note. Just what we suspected; the people who were originally behind the construction of the building ran out of money. Because such mistakes are common, I would love to someday be in a position where I can profit from the mistakes of others. We've been told that indeed this building will have commercial space on the ground floor. The bedrooms are reportedly small, but a full-sized bed will fit. A FULL sized bed, oh heavens, that's tiny! Short term folks, like graduate students or those just our of graduate school. They seek a place in good repair and don't really care how large it is because they will not live there very long, and/or expect to move within 3 years. It could be filled with a slightly less fortunate group than the folks who filled the similarly sized units 505 Sterling or 341 EP. The initial plan was that the building is supposed to be condos, @whynot_31. Is there any information that there will be a deviation from this intention? I have no sources I have not disclosed. Just speculation on my part. The chainlink fence that surrounded the property is down. Concrete for the sidewalk in front of the building is being poured this week. A quick search of "90 Sullivan" with the words "lease" and "sale" returns nothing yet. So, I can't find any info on either the residences or the commercial space. I am betting the building will be sold by its present owner (an investment firm) to an entity with expertise in selling and marketing it. ...we won't see listings until then. I'd put a Subway sandwich shop there, and maybe an ice cream place. Ugh! No Subway! If a place that sells pizza by the slice were to come there, I could dig it. A ice cream place would be sweet (except it'd make me fat) LOL. By the way, I believe the entrance to the building and the retail spots are not flush with the sidewalk; one would have to go down two or three small steps. Sounds like it could cause flooding. In many ways, Ebbetts Field apartments has become a NORC. Could we install a ramp and then set up a mobility scooter repair business? This place has been under construction since at least 2005.... at this pace I still say it will be a gift shop for the new dodger stadium being built in 2027. So...shall we see Atlantic Yards 2, Electric Bugaloo? This building may have been started before the requirement that states many/most new buildings over 4 stories must have elevators. However, in order to get their C of O, they are going need to show that the building complies with the parts of the building code that are dictated by ADA. Is there a ramp somewhere? The ramp (which is small) is near the western wall (the side closest to the auto body shop). Today, I noticed that Con Ed is threatening to turn off power to the building. I do wonder how well the sales will be handled if they keep the job in house. They seem to have kept the electricity on, and are now seeking businesses for the first floor spaces. I suspect they won't allow anything that involves frying. I'd open an ice cream shop. I was going to post photos but you beat me to the punch! The commercial spaces are for two stores and one office. If it were a medical office, depending on its specialty, it would be in the most convenient location ever! A medical practice that accepted Medicare and various union plans, would be a wise move given the percentage of residents in Ebbets Field that are now old, and worked their entire lives to earn such benefits. The accessibility ramp is visible in the second picture above. "Work on this project is schedauled (sic) to be comleted (sic) by May 1, 2014." Being that the project is not yet complete and has been under construction for years, I think that sign says it all. However, I have yet to see any listing for the residential units. Condos in Brooklyn are incredibly hard to find, because most of the new buildings are rentals. ...making me very interested in seeing how much these units will go for. The building's still not finished though! ...the owner could be just wating for DOB to give them a CO.
DOB has been very slow about getting such things done, because a lot of their staff was arrested back in February, and the agency is just now getting back on its feet. I haven't seen anyone actively work on this building in some time. Would the ramp out front need a railing? @whynot_31 - The temporary fence is still up as this morning. That doesn't seem like move-in condition to me. I think it is ok to wonder aloud whether this place will have residents by Nov 1. There is now a black fence up in front of the building. Look closely, and you'll see the post isn't anchored. It just floats in the air over the now unusable set of steps. @whynot_31 - Yes, I had also noticed that. Still not ready for occupancy. The ramp now also has a railing installed. I think this took about 8 years! I'm speculating this room redo may have been the products of a recent delivery. One day recently I saw a UPS missed delivery slip on the front door and on one of the mailboxes. I thought that was odd; why deliver to a building that's not even occupied yet? I also think there is an outdoor yard area in the rear of the building. The PTACs indicate that the building may not have a central heating system. As a result, the developers saved lots of money on construction and tenants will have to pay for their own heat. This method of heating an apartment is far more expensive than had a central system been installed. Now I really want to see who will move in. The certificate of occupancy has this note:"NOTE:28 FAMILY CLASS A MULTIPLE DWELLING & MIXED USE BUILDING. CELLAR FLOOR PARKING FOR 26 CARS (UNATTENDED ) AND 10 CARS ATTENDED OPEN PARKING SPACE FOR STORES". This building is big enough that it may have been worth the developer's while to contract with a large real estate agency to quickly fill the units and the storefronts. I hope he is able to deliver, quickly. Apparently $600-700/month for a modest unit in a cold winter. Ouch. From what I understand, the building discussed by Brownstoner not only has PTACs, but really poor insulation in the walls. So, my hope is that the new residents of 90 Sullivan won't be as bad off. ...but, I may be a dreamer. ...every aspect of this building may be being done on the cheap. The truck was also parked right in front of a fire hydrant. I wonder if they are renting units to the demographic that splits 3 BR among 3 unrelated adults. The windows to the lobby are now frosted over. I speculate this was to give more privacy. I also spotted a NYC DOB permit posted on the commercial space that is closest to Bedford Avenue, but I didn't take a look at the details. Answer: Tenants have reportedly been sighted. I saw several utilizing their terraces on Saturday night. I don't believe the building is fully occupied yet. I doubt a co-op could afford the PSF rents they are asking. ...I also don't know if they are ok with food, in light of the insects they attract. I think some design firm is going into the commercial space. It wouldn't be like Western Beef though. No, the music wouldn't be as good, either. I walked by this building tonight and it appears that most units are now occupied. 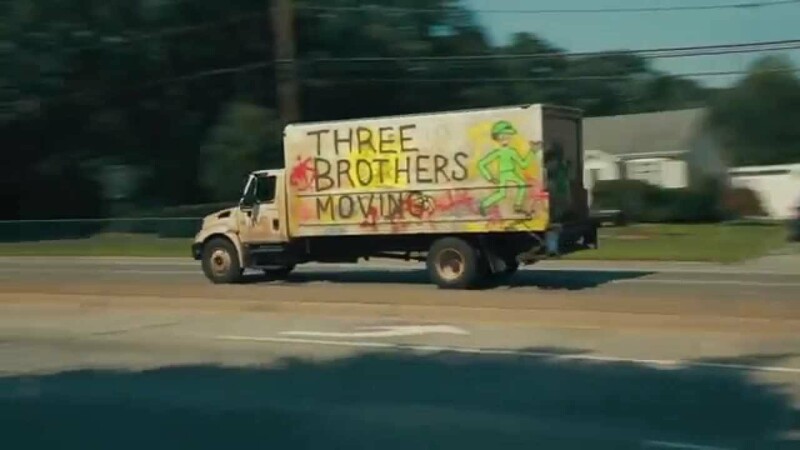 There's a moving truck in front as I type this. I'm still waiting for the commercial tenants. I noticed a sign by the garage last night: Zipcars apparently now live there too. Whoo hoo. "Irving Langer’s E&M Associates is the latest firm to buy one of several properties up for sale by Brooklyn investor Chaim Miller. The multifamily giant paid $21.5 million for Miller’s 29-unit rental building at 90 Sullivan Place in Crown Heights, according to property records filed with the city Thursday. Since Miller bought the building for $7.7 million in 2013, the property has been hit with at least seven lawsuits. The list of plaintiffs includes Miller’s frequent lender Madison Realty Capital — which filed to foreclose on the property last year — and ex-business partner Chun Peter Dong, who claims Miller took out a $3.8 million loan on the building without his consent and embezzled the funds. Both cases are still active in Kings County Supreme Court, as are others. Construction on the property at 90 Sullivan Place was halted for years until Miller acquired the building and jumpstarted work on it. Miller was temporarily barred last year from selling or transferring his interest in the property while his bankruptcy case involving 45 John Street was still pending in court. Miller’s real estate portfolio, which once exceeded over 1 million square feet, is now dwindling. Next week, Miller’s Coney Island property will be up for auction and a rental building in Clinton Hill will be sold as part of a bankruptcy settlement. Brokers hope the latter will fetch $44 million — the minimum Miller needs to pay off a number of creditors." What does that mean for tenants? I would fear it means the new owner is just interested in making a quick profit, and won't maintain the building. The landscaping in the tree pits in front of the building is a recent addition. The pictures above were taken late yesterday afternoon. Even my building had shoveled the sidewalk by then. I noticed the "LEASED" sign last night. I don't have any additional information yet. The commercial space on the left has taken a noticeable step to becoming ready for occupancy. It now has roll gates. The brown paper covering the windows has been replaced with white paper. The new store opened up at the end of last week. It apparently is a little bodega. I went into the store last night. It looks and feels like a regular bodega, but it's shiny and new. It will close at 9 pm on weekdays and a 10 pm on weekends.